Women who exercise more frequently along with those who consume foods high in heart-healthy polyunsaturated fats may experience menopause earlier, suggests a new study published in the journal Menopause. Dr. Chisato Nagata and his colleagues at Japan’s Gifu University and Sakihai Institute studied 3,115 premenopausal Japanese women ranging from 35 to 56 years old over a period of 10 years and monitored their physical activity and dietary intake through a series of self-reported questionnaires. During this decade-long period, 1,790 women entered natural menopause, and though the average age at entering menopause was undefined, the study found links between the onset of menopause and women whose levels of physical activity and consumption of polyunsaturated fats were higher. The women who engaged in the most physical activity – at levels of above five hours per week – were 17 percent more likely to enter menopause earlier than those who exercised for lesser durations. Likewise, women who consumed foods high in polyunsaturated fats such as plant-based oils or Omega-3 fatty acids increased their likelihood of reaching menopause earlier by 15 percent compared to those who consumed little to none. 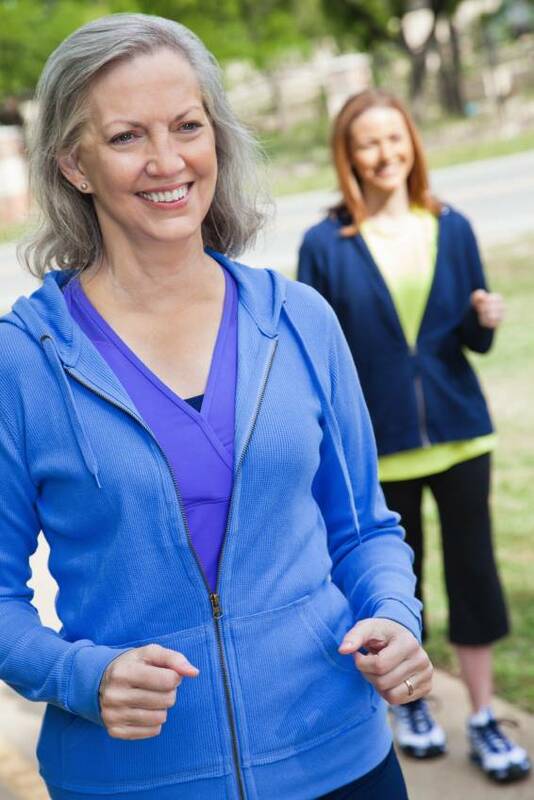 Researchers suggested that because high levels of physical activity can lower estrogen levels, they may lead to ovarian follicle degeneration and the onset of menopause. Similarly, the intake of polyunsaturated fat may shorten menstrual cycle length, so the frequent ovulation may cause early exhaustion of ovarian follicles, bringing on earlier menopause. So is this an “out” from exercising and eating heart-healthy? Absolutely not, says Dr. JoAnn E. Manson, Professor of Women’s Health at Harvard Medical School and president of the North American Menopause Society, which publishes Menopause. “The take home message from this study is regular physical activity and regular heart-healthy patterns are advisable for reducing the risk for several hormone-related cancers and osteoporosis,” especially given that earlier menopause is actually associated with a decreased risk of breast cancer. While this study may not give us any firm and conclusive information about how high levels of physical activity and heart-healthy diets rich in polyunsaturated fats affect the onset of menopause, it does shed light on the importance of further study and focus on women’s wellness, and what effects they may have with relation to other diseases. Earlier this month, another study published in Menopause showed that women who smoke may hit menopause about a year earlier than women who do not smoke. Out of the more than 43,000 women in the study, women who smoked were 43 percent more likely than nonsmokers to have earlier menopause. Researchers theorized that smoking may effect how women’s bodies get rid of estrogen. Alternatively, the toxic compounds in cigarette smoke might kill a woman’s eggs. Clearly, a number of factors influence the time when a woman reaches menopause. While a woman can’t control her genetics, the dietary and lifestyle choices she makes can influence when this event occurs, as these two studies point out. Whether these choices promote earlier or later menopause is probably less important than the actual behaviors themselves. Exercising on a regular basis may promote earlier menopause which is tied to increased risks of heart disease and bone thinning. But, the sheer act of physical activity which helps with weight management and bone density and strength could more than offset these increased risks. The take home message: continue to engage in healthy behaviors which have an overall positive effect on mind, body and spirit.